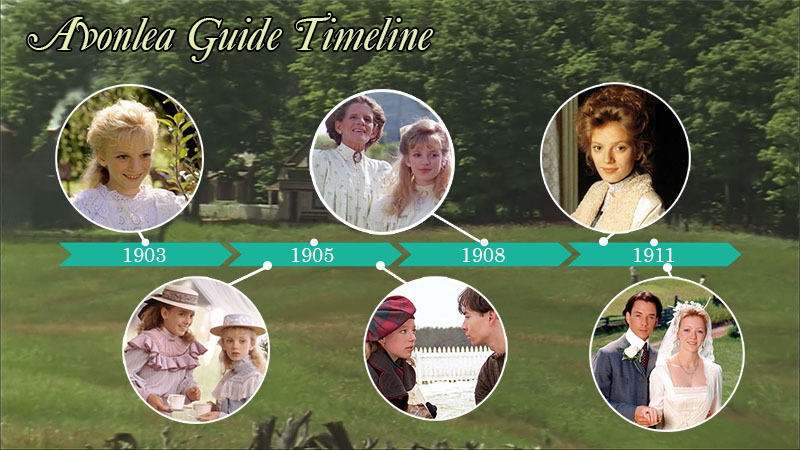 The timeline for the series Road to Avonlea between 1903 and 1912. 1.1: The Journey Begins-- It is generally agreed that the series started in 1903, probably in the summer. 1.8: Aunt Abigail's Beau -- An advertisement for the infamous auction is dated Tuesday November 9 (This date in 1903 actually falls on a Monday). 2.1: Sara's Homecoming—Takes place around Dominion Day on July 1st. This means it’s June/July 1904. 2.2: How Kissing Was Discovered -- The date in Felicity’s diary is June 13. (1904). 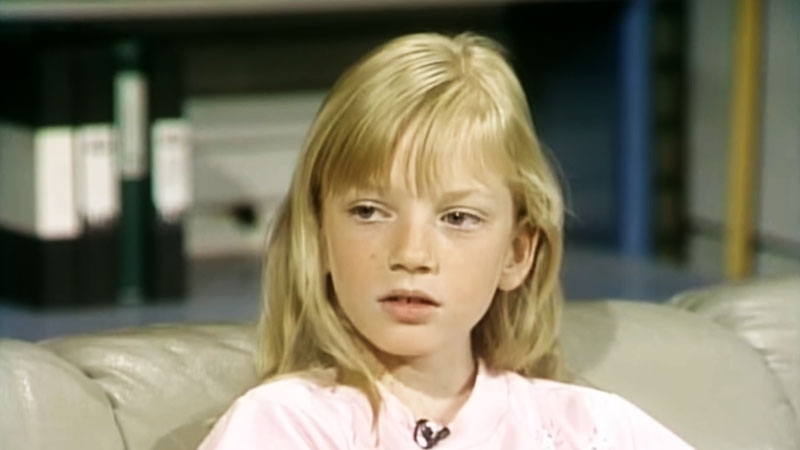 Felicity says that she is 13 and ¾. 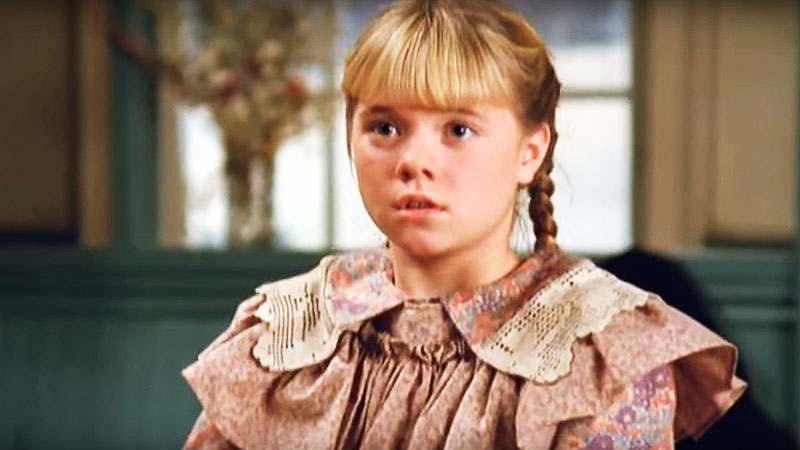 2.3: Aunt Hetty's Ordeal -- The date of the Avonlea Chronicle is September 14, 1904. 2.13: Misfits and Miracles—Daniel King is born. 3.1: The Ties That Bind -- Season Three probably starts in 1905. Jasper proposed to Olivia around late summer/early fall 1904, and it’s likely they are married the following summer. 3.6: Aunt Janet Rebels --Felix mentions that Felicity is 15 years old. Felicity turned 14 in Fall 1904, so it’s probably 1905. There might be a one year gap here as previously stated IF season four starts in 1907. 4.1: Tug of War—Olivia has a baby, but there is no mention of her being pregnant last season. Mag Ruffman described researching child birth for this episode and having a short time to do so. It’s likely this wasn’t decided until this season. Hannikan has suggested that the missing year/time gap may also appear here, pointing out that 'The Dinner' and FPB are very close together in terms of subject matter. 4.8: Heirs and Graces—An advertisement on the bulletin board is dated November 1907. Thanks to Hannikan for pointing out the Victorian typeface for sevens. Based on the date from Heirs and Graces, a few things become clearer. The missing time of season four likely does not appear here, as there is now strong continuity from Heirs and Graces into the fifth season. We now know that the Gus and Arthur rivalry occurs in early 1908. 4.11: The Disappearance Winter 1908. When Felix asks about the assignment of where they will be in the next ten years, Gus says 1918, which suggests that it’s winter 1908. This means that up to this point--(1) either most of 1907 is missing, (2) Season Four takes place in 1907, or (3) Season Four spans 1906-1908 with only one summer featured. 5.5: Stranger in the Night—The Avonlea Chronicle newspaper is dated 1908. The day is listed as the 14th but the month is not visible. Judging by the orange and yellow leaves, this episode takes place in the Fall (A property auction notice is posted on the bulletin board for November 13, 1907. This must be erroneous however since it is clearly 1908. The advertisement was likely repurposed from an earlier episode). 5.6: The Great Race—A sign for the race indicates that it’s October 1908. A prop sign from the series indicates that the race occurred on October 4, 1908. 6.3: Christmas in June—A letter addressed to the King family was dated June 19, 1909. 6.4: Comings and Goings—Sara was in Montreal for six months. 6.8: Fools and Kings—Gurney comments that Felix is nearly 16. The time gap between February+/- 1910 and Summer 1911, so roughly a year and 1/2 between seasons. 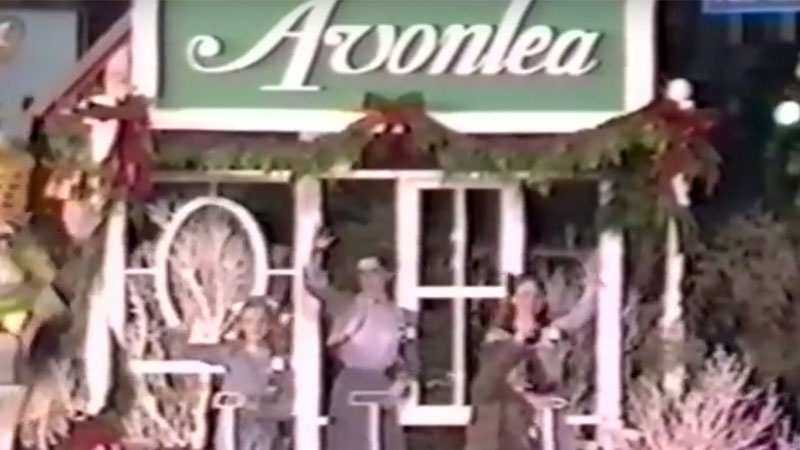 7.1: Out of the Ashes—The ‘Avonlea Foundling Home’ sign indicates that it was established in 1911. 7.4: Woman of Importance—Izzy is nearly 16. 7.5: Secrets and Sacrifices—Lucky is 7 and a half years old. 7.10: After the Ball is Over—Eliza Ward turns 90. Lucky turns 8 in this episode. Lucky was a baby in 1903 and 8 years later would make the current year 1911. * There is a 1+ year gap here IF the series ends in 1913. The original RTA website stated that the seventh season is around 9 months from the "brink" of WW1, which means the series ends in 1913. However, there are two references in HCMK for a two year span between the end of the 7th season and HCMK. This would mean the series ends in 1912. Therefore, there are two contradictory years mentioned when the series ends.